The High Line is still in its infancy, meaning we are learning new things about the airborne promenade each and every day. 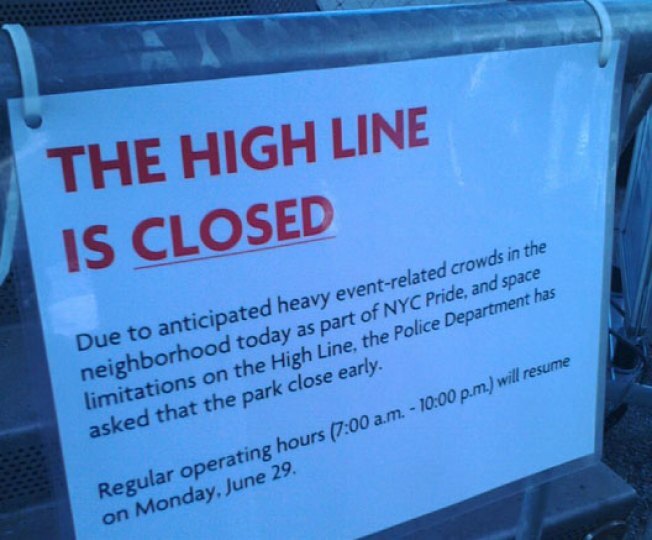 Yesterday's lesson: The High Line can only handle so many assertive homosexuals at once. Way to go, gays, your love of Ipe wood and well-mannered grasslands ruined it for everybody! You too, America lovers: According to Friends of the High Line, the park will also close early on July 4.